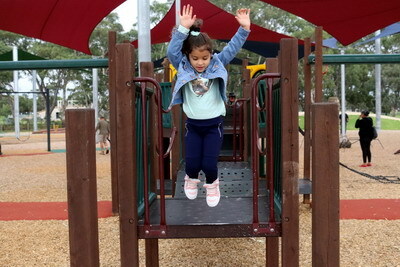 Tatterson Park is located in Keysborough which is approximately a 40 minute drive south east of Melbourne City and is absolutely fantastic for the kids. 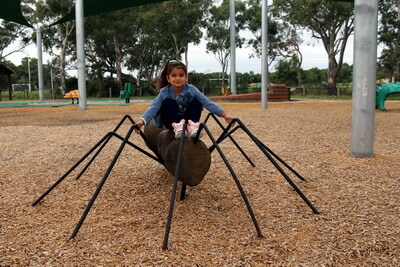 The park has a giant bug theme including giant ants, spiders and ladybugs. It’s a little bit different from the average park which makes it very unique. 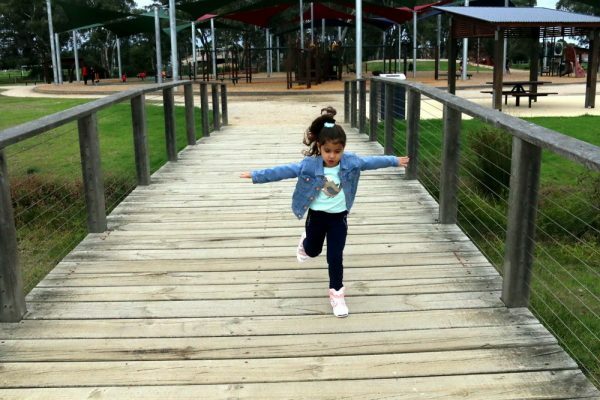 The park is just about completely covered with shade sails, making it a great park on almost any day, but don’t forget to take into consideration Melbourne’s four seasons in one day. 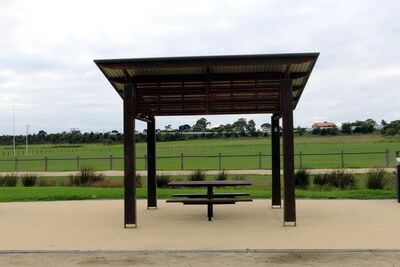 There are covered sitting areas with a bbq which makes this park a great hit for children’s birthday parties and/or celebrations. There is one public toilet close by too and as I always suggest (bring your own toilet paper and/or wipes). 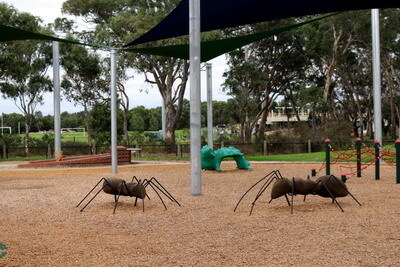 The playground area is pretty large and consists of swings, sand pit, giant bugs and a couple of play structures with slides and monkey bars. 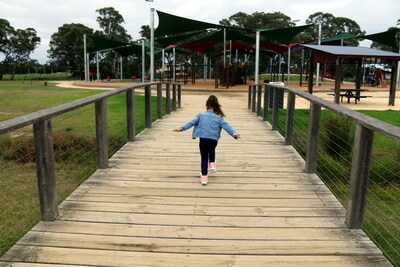 There are plenty of activities for the kids to jump on and run around wild. 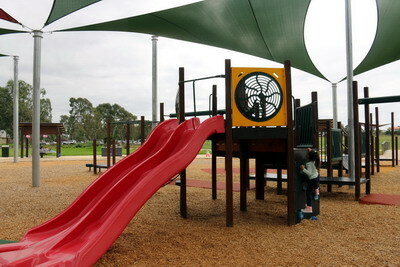 There is also a sports oval next door, so the kids can kick a footy or soccer ball and there are walking tracks too. The park has plenty of parking, but if you want to use the picnic seating areas, I would suggest you come early. 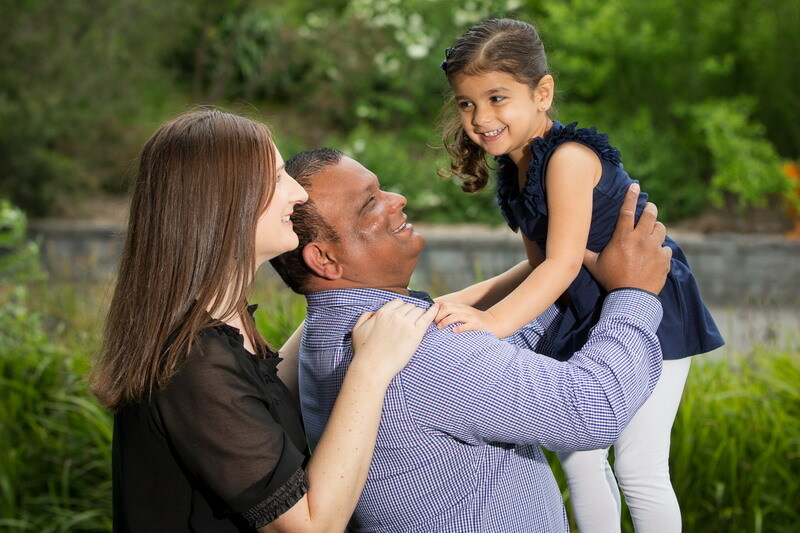 Tatterson Park was an absolute hit with my daughter and we will be definitely back again soon. Loving all the Park ideas Christine. WOW, giant bugs. Cool for the kiddies. Love this place. It's my local park. 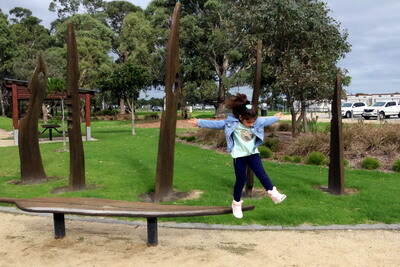 Very cool park. My boys would love this place.